Silly riddles function for the purpose of irritating your friends, as the answers are almost always straight forward yet quite irrational. Children, both young and old are the crowd who is likely to appreciate this set of slaphappy puzzles. Brain teasers are alleged to have great positive effects on the mental development of children. These particular riddles are also great for children because they are injected with humor and will be sure to make the kids smile, chuckle, and laugh. 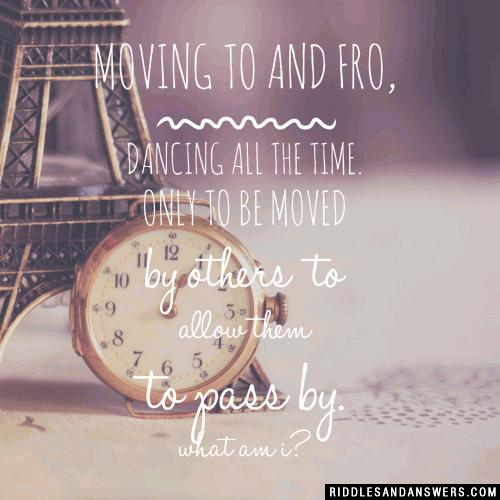 Each riddle featured in this section is rated at a beginner level of difficulty. If you are looking for more difficult riddles to solve you should browse our site. We have amassed great collections of hard puzzles and brain teasers for teens and adults as well. 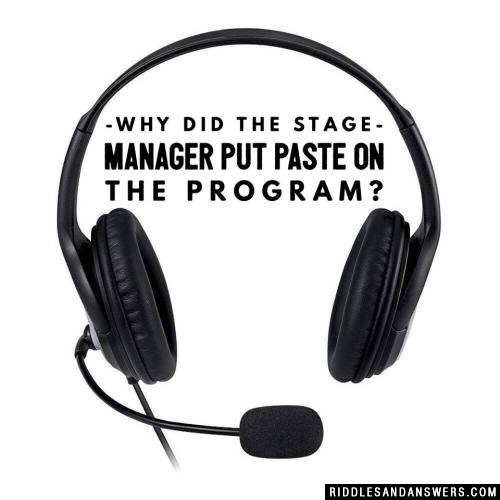 Why did the stage manager put paste on the program? He wanted the audience glued to their seats. 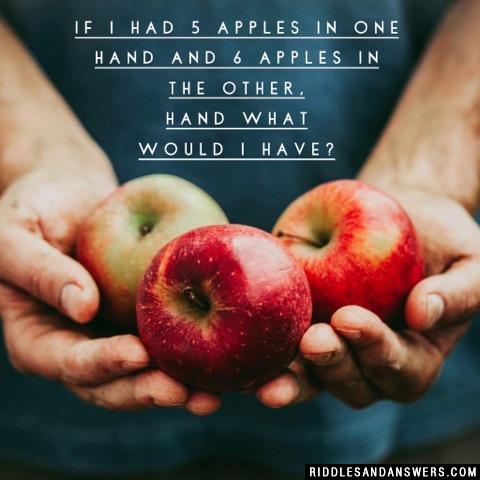 If I had 5 apples in one hand and 6 apples in the other, hand what would I have? 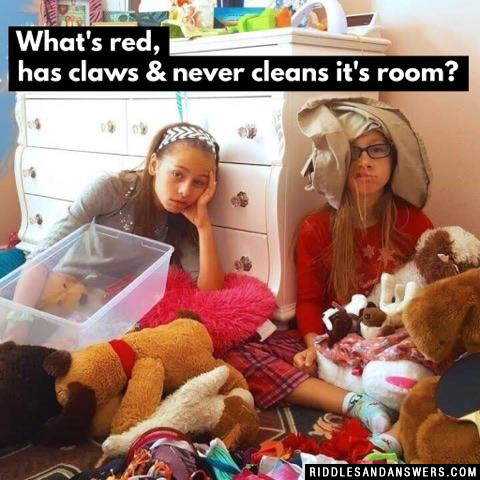 What's red, has claws & never cleans it's room? What did the nut say when chasing the other nut? Because the keys are inside! What do ghost's like to do on a Saturday night? What do you get when you cross an alien and something white and fluffy? What kind of a dance do you do on a trampoline? Why was the science teacher angry? He was a mad scientist. How do you get a skeleton to laugh out loud? Can you come up with a cool, funny or clever Silly Riddles of your own? Post it below (without the answer) to see if you can stump our users.